Contrary to popular belief, rappers doesn't always belittle and objectify women. 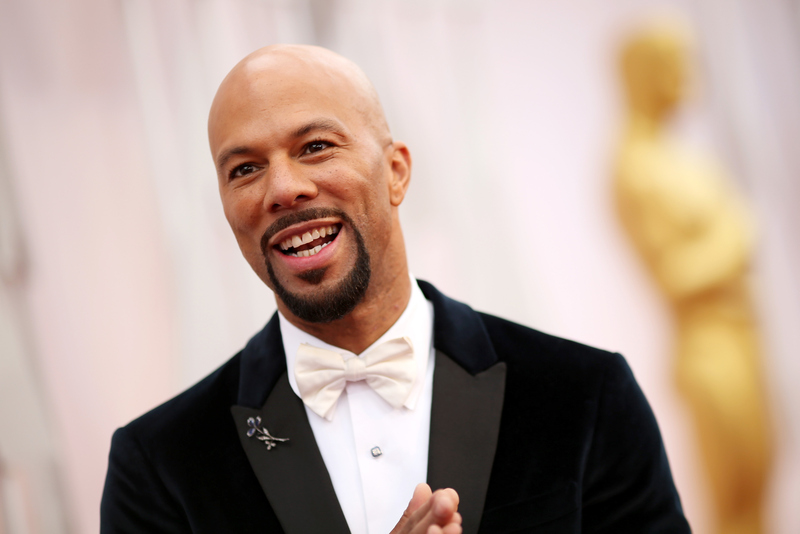 In fact, underground hip-hop emcee, Common is a proud feminist as he repped the lifestyle by wearing a t-shirt that reads, "This is what a feminist looks like." And his shirt wasn't just any ol' feminist shirt, it's the one created by the UK equality organization, Fawcett Society. Last year, back in October, Fawcett Society chose Benedict Cumberbatch as the face of their feminist t-shirt. The Sherlock actor wearing the shirt was featured on the cover of ELLE UK and many other celebrities began to rep the "f-word" too. And it's never too late to be added to that list as Common so clearly proved last night when he was spotted walking around in West Hollywood with the shirt. He paired the casual tee with a pair of comfy grey sweatpants that perfectly matched the t-shirt. And to add a pop of color, the rapper wore a pair of neon-blue-trimmed running shoes. In celebration of #FlashbackFriday here are some awesome celebrities who have shown their pride for feminism. And no, it won't be a collage of different pictures of Emma Watson — despite how much I would love to do that. Loki showing off his low key tee. Because Emma Watson isn't the only feminist in politics. And if you want to cop the shirt yourself, you can get it here.